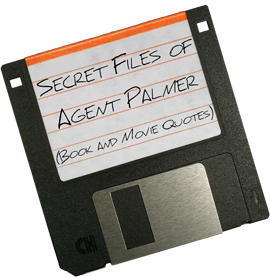 “Palmer, Agent Palmer” sounds much better than “Stershic, Jason Stershic.” Perhaps that’s why I adopted the monicker of the spy from “The IPCRESS File,” Harry Palmer, when I began this all-things-geek blog. As a happy coincidence, it’s also the surname of a pitcher from my beloved Baltimore Orioles, Hall of Famer, Jim Palmer. After graduating from college, I used the down time outside of a dead-end retail job to start a graphic design and web agency with a friend that you might know as Agent Parker. In that venture I found a calling and started my own company, Spectyr Media, Ltd., to serve other friends and future clients. While building up that business, I received the opportunity to be in charge of web and technology for Discover Lehigh Valley, a local tourism agency. After a few years on the job and spending way too much time in the innards of the World Wide Web. I created AgentPalmer.com as a way to start writing something beyond code to put my communications degree to good use. and my opinions of them. Since its inception, I have grown as a writer, storyteller, and teacher. I very much believe that good content can teach, inform, and entertain. As a result, my posts tend to be longer than most, because each contains a story waiting to be told in its entirety. My friends – Agents Parker, Wacker, and Z – have since gotten in on the action, and more are waiting in the wings for the chance to tout their inner geek to the Internet. I’m happy to be able to provide them a venue for their various geekdoms. So, what am I? What is this blog? I’m a geek, and the blog is geeky. It’s composed of all the topics and themes I’ve written about thus far and the many yet unwritten. It’s about the beauty in the minutia of the things that some of us love and, hopefully, helping others understand and discover why we love it. For more general information about me you can check out my GetGlue, Foodspotting, or Yahoo Fantasy profile (although I am on a hiatus from Fantasy). Or you can peruse my Listgeeks or Tumblr to get a better picture of who I am. Featured as the Blog of the Week by NEPA Blogs on WBRE’s PA Live! Featured as The Nerding Instinct Podcast’s 15Mb of Fame in Episode 17 – Creature Feature. Featured guest on The Stranger Conversations with Grant Markham Episode 13.